Denmark about 1480. 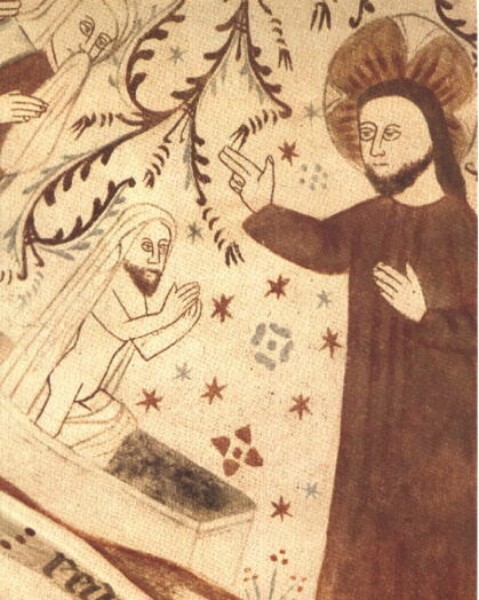 One of the miracles, the raising of Lazarus from the dead. Somewhat primative, but there is variation among the faces. This one is unusual in Christ having a beard but no mustache.